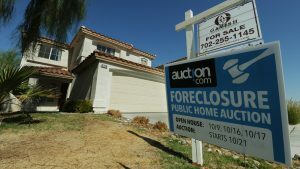 This expert says the next recession will cause home prices to come down hard, but we learned last time that people have to live somewhere, and the government will save us. Stack’s prescience makes his latest warning particularly ominous. He has dusted off the same Housing Bellwether Barometer that raised red flags more than a decade ago and is watching it to see when — not if — the nation’s booming housing market will turn down. That barometer, Stack explained, is an index of “the most sensitive stocks in the housing industry” — including homebuilders and mortgage companies. It recovered nicely after the 2008-2009 crash and has been flat for the past few years. But over the past 12 months, Stack said in an interview, it “started to go up like a rocket ship again, similar to what it did back in 2004-2005. That tracks the anecdotal evidence he’s seen of frantic bidding wars in some of the nation’s hottest markets. “It’s that kind of nuttiness that defines the psychology of a bubble,” he said. The Case-Shiller national index hit all-time highs last December and continues to rise. Case-Shiller indexes show prices in Boston, San Francisco, and Charlotte, N.C. about 10% above their previous peaks; Portland and Seattle, around 20% higher, and Denver and Dallas, 40% higher. These are the new boom towns, replacing Las Vegas, Phoenix, and Miami the last time around. The SPDR S&P Homebuilders ETF has quintupled (up 400%) from its March 2009 lows, vastly outperforming the broad S&P 500 , which has gained around 270%. Stack says the best way to measure housing’s true value is to compare it with long-term inflation, and that measure is also raising a warning flag. “Median family home prices are 32% above the long-term inflationary trend — in other words it has to fall 32% to get down to where it was,” Stack explained. “That’s not as bad as the 35% in 2005, but it does kind of wake you up and say, this isn’t normal, this is going to end badly.” To me, there isn’t much difference between being 32% and 35% overvalued. Stack acknowledges there are big differences between 2005 and now. “You’re not seeing the esoteric mortgages, the so-called liars’ loans…,people buying multiple homes, thinking that they can rent it and make money on it,” he said. Back then there was rampant mortgage fraud, huge demand from Wall Street for subprime mortgage securities and rating agencies giving them black checks, with no regulatory oversight whatsoever. Also, says Stack, there was an inventory glut then and a shortage now that is causing prices to soar. One key similarity: “We still have a lot of easy money out there for mortgages,” he said. “We have a Federal Reserve policy today that’s unfortunately like the early 2000s,…, and it’s conducive to bubbles.” The federal funds rate now is very close to the 1% low where Greenspan pushed it, and that triggered the final, disastrous stages of the last bubble. The big danger, of course, is the next recession, which Stack views as inevitable. “At some point we’re going to have another economic downturn, another economic recession,” he said. “When we see that downturn…you’re going to see [housing] prices come down quite hard over a period of 12- to 24 months.” He added that he doesn’t foresee a recession until at least 2018. Stack’s record isn’t perfect — in early 2016 he called a bear market that never happened — but it’s been excellent over the long run, and going back to the 1987 stock market crash, he’s had a knack for spotting bubbles.